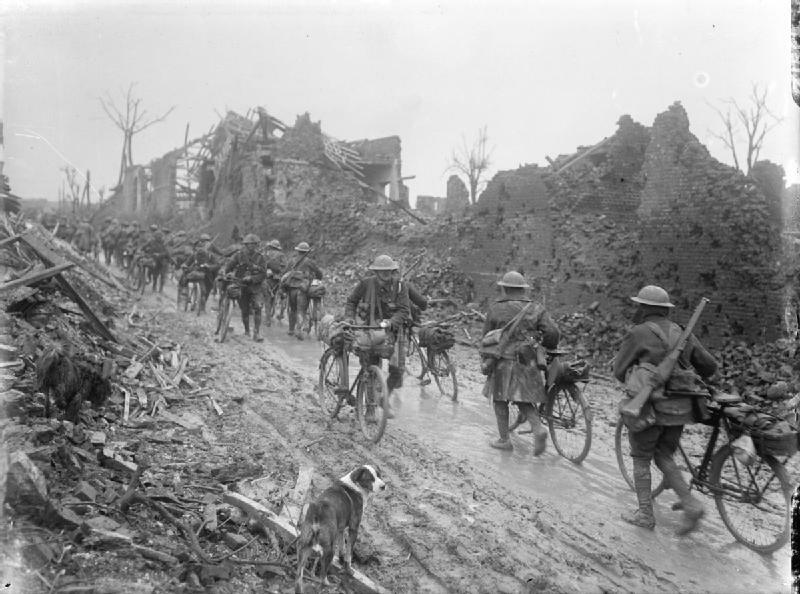 British Army Cyclists in the Somme, 1917. Though a WW1 serviceman born and raised in Bottesford, William Rawdin is not one of the men named on the Bottesford ‘church list’. William Henry Rawdin was born in 1875, the third son of Thomas Rawdin, born in 1848 in Bottesford, and Sarah Ann Lilley, born in 1851 also from Bottesford. In the census of 1881 he was recorded living at the family home on The Green, Bottesford, but in 1891 he was a 15 year old farm servant living in with his employer Ann Scrimshaw on Belvoir Road. She was a 91 years old widow, with two daughters Ann (60) and Jane (40). William married Emma Spick on the 17th November, 1896, at Halam St Michael’s, Notts. In 1901, William was at 7 Hickson’s Row, Bottesford, a domestic gardener, with his wife Emma and two children William (3) and Emma (1). In 1911, they had moved to Shelford Manor, Notts, where William, now a shepherd, lived with his wife Emma and four children, George William (13, a ‘farm lad’), Emma (11), Harriet (9) and Florence Rose (5). William Rawdin’s service records have not been found, but there is a medal index card (MIC) for him, and also a Silver War Badge record. His MIC indicates that he was Private 18436 of the Army Cyclists Corps. The Silver War Badge tells us that his badge, number B55462, was issued on the 20th December, 1918, following his discharge from the army on the 23rd November, 1918, citing “Sickness, paragraph 392(xvi) King’s Regulations”. It adds that he had enlisted on the 26th October, 1915. The primary roles of the cyclists were reconnaissance and communications (message taking). They were armed as infantry and could provide mobile firepower if required. 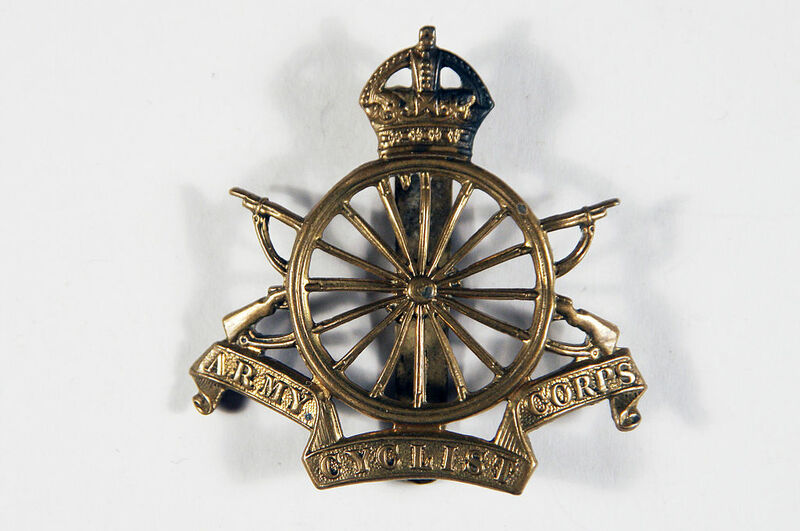 Those units that went overseas continued in these roles but also (once the mobile phase of war had settled down into entrenched warfare) spent much time in trench-holding duties and on manual work (Long Long Trail website). Electoral Roll records indicate that William Henry and Emma lived at Barton, Notts, during the early 1920s, and had to moved to Gotham, Notts, by 1928. William Henry Rawdin died in 1937, aged 62, in the Basford area. Emma was living at 31 Nottingham Rd, Basford area, in 1939, living with Florence R Cattel (probably her daughter) and Leslie Noble (probably her grandson). She died in 1944.